Hotel reservation (for both Rihga Royal Hotel Kokura and Station Hotel Kokura) will close at the end of June. If you have not made the reservation of accommodation for the conference yet, please do so at your earliest convenience. You can make hotel reservation at the Accommodation page. Registration to the conference will close on June 8, 2013. After this date, any registration will not be accepted. If not registered by then, your paper will not be included in the final program. Please register and pay the registration fee by this date at the registration page (http://www.iioa.org/conferences/21st/registration.html). Those who require the entrance visa to Japan and have not started the process yet should contact to the following email address with the visa form, which can be downloaded at the visa page (http://www.iioa.org/Conference/21st/visa.html), by June 14, 2013. However, we urge you to do so as soon as possible, since the visa process at the respective Japanese embassy can be longer than usual, due to the up-coming summer traveling season. We will not accept any visa request after June 14, 2013. The PRELIMINARY program of the conference can be downloaded via the link below. 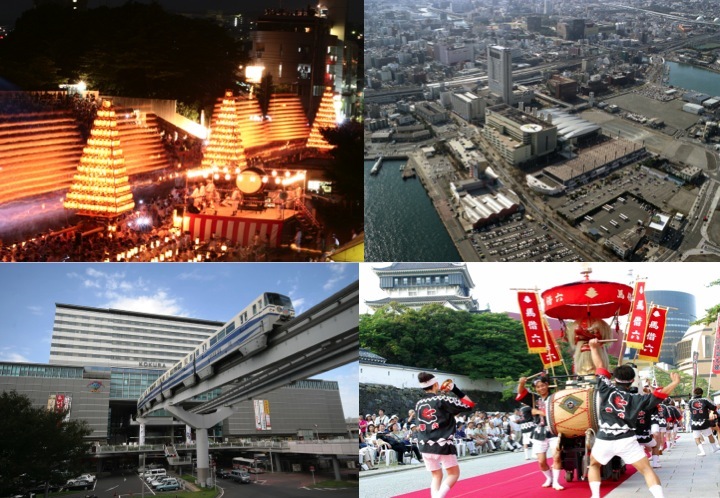 Submissions of abstracts and proposals of organized special sessions for the 21st International Input-Output Conference at Kitakyushu are coming in in increasing numbers. Since we know that holiday period has already started or will start soon in many countries, we have decided to extend the deadline for individual submissions a bit. It has been moved from the original date of December 31, 2012, to January 15, 2013. Four keynote speakers have been confirmed for the conference. First, Glen Peters (CICERO, Oslo) will cover an environmental topic. Second, Paul Schreyer (OECD, Paris) will speak about opportunities to link aggregated IO-data and SAMs to new microeconomic datasets. Third, the topic of former IIOA-president Masahiro Kuroda (Center for Research and Development Strategy, Japan Science and Technology Agency, Tokyo) will be related to innovation and productivity growth. Finally, Richard Baldwin (the Graduate Institute of International and Development Studies, Geneva) will talk about global value chains and international production networks. 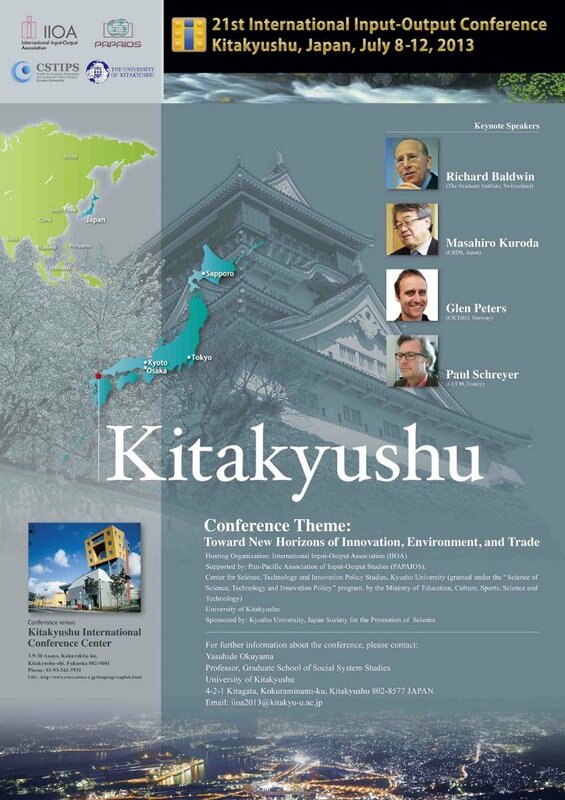 This conference is sponsored by the Japan Society for the Promotion of Science and by the Center for Science, Technology and Innovation Policy Studies, the Kyushu University.